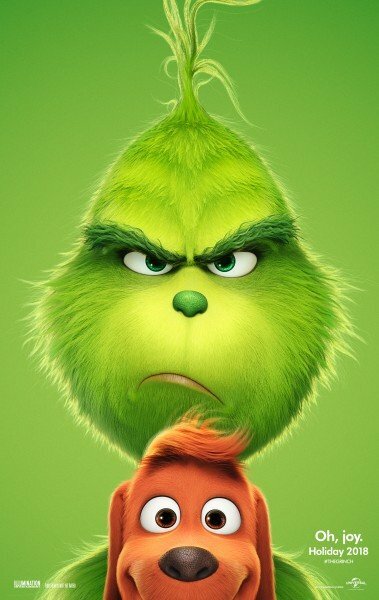 Following a few promo posters and a Winter Olympics TV spot, the first trailer for The Grinch – starring Benedict Cumberbatch as the green meanie – is finally here! 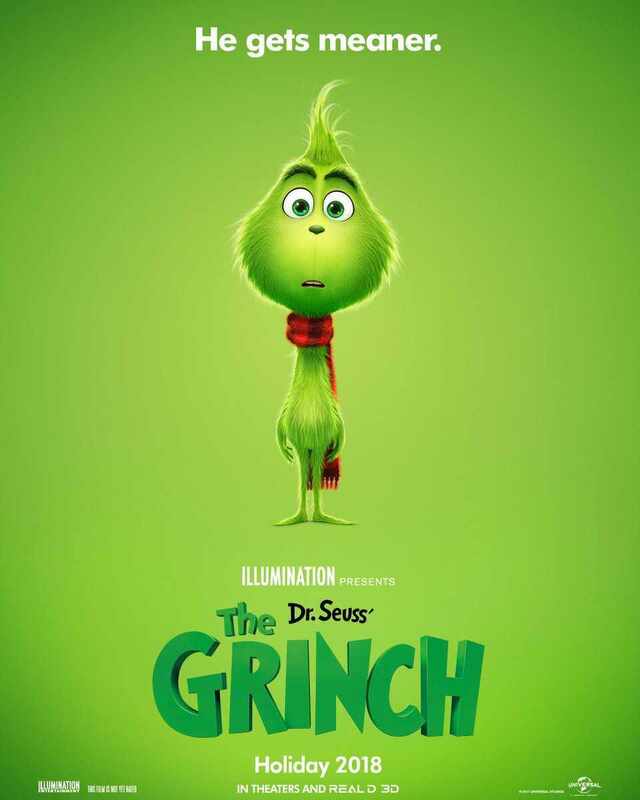 Instead of reiterating the familiar story of the Grinch’s plot to steal Whoville’s Christmas presents, the preview decides to get us on the grouch’s side instead by showcasing an ordinary day in the life of the furry, frowning critter – though it does include a new version of the classic song from the beloved holiday special. Surprisingly, the character we used to love to hate as kids now seems oddly relatable. Which of us hasn’t woken up in a bad mood and wanted to destroy the radio for playing a certain overly-cheerful song sung by Pharrell Williams? Not that any of us have gone so far as to spit a pickle back into the jar and slot it into someone’s shopping basket, mind you (well, we hope). Plus, we now have an answer to a question we never knew needed answering: the Grinch isn’t actually naked – that fur surrounding his midriff is really a pair of shorts. Our first look at The Grinch in action has been a long time coming. The project was first announced back in 2014 and we’ve known that Benedict Cumberbatch will be bringing the iconic Dr. Seuss character to life for a whole two years now, as well. The Doctor Strange star will be following in the footsteps of Boris Karloff, in the aforementioned cartoon, and Jim Carrey in the live-action movie from 2000 – which we prefer to forget. The Grinch is a co-production between Universal and Illumination Entertainment, most known for creating the Despicable Me franchise. No doubt the studios will be hoping to recapture the phenomenal success of those particular films when the latest Dr. Seuss adaptation sneaks into theaters on November 9th.